These moments in time are different from our chronos moments – the time that passes every day without much notice. Kairos moments from the Greek definitions above seem to me to be times that are appointed by God for things to come to a head in my life so I can take full advantage of all He has done — I can see the fruit of His labor manifested in my heart at this fixed, definite, right moment. 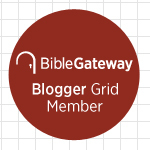 Will you believe God to be God? To be all that He has declared Himself to be –the One Who Does Not Change. The One who is always holy, always love, always compassionate, always trustworthy, always just, and always faithful. Will we believe Him to be Him every single moment of every single day? Even the hard moments? The “crisis in belief” moments? The “crossroad” moments? Will we believe that He is there, unflinchingly involved in every circumstance, when our hearts won’t recognize it and our eyes cannot see it? Don’t misunderstand. It’s my belief that for the one who has accepted Christ in their heart and confessed with their mouth that He is Savior and Lord of their life that there is a certain part of every moment that is a “Kairos Moment.” But if God took the time to describe certain points on our personal timeline and even the world timeline differently, then I’m going to follow suit. 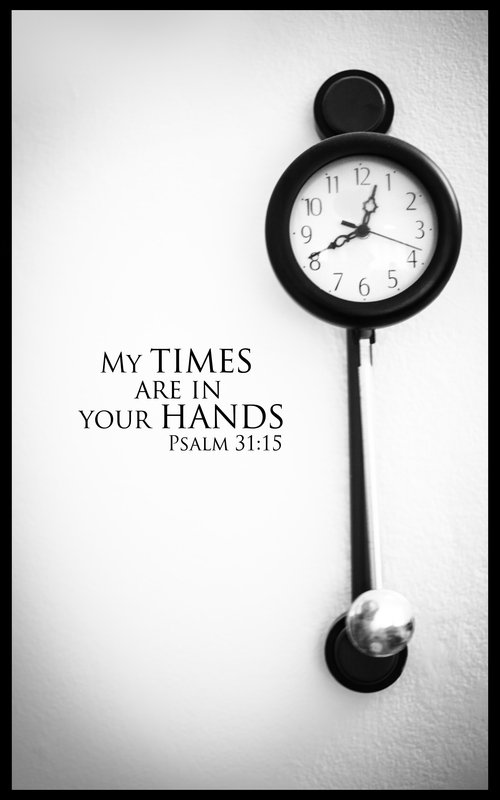 For myself, I think of chronos time as the time I am given to prepare for the Kairos Moments. 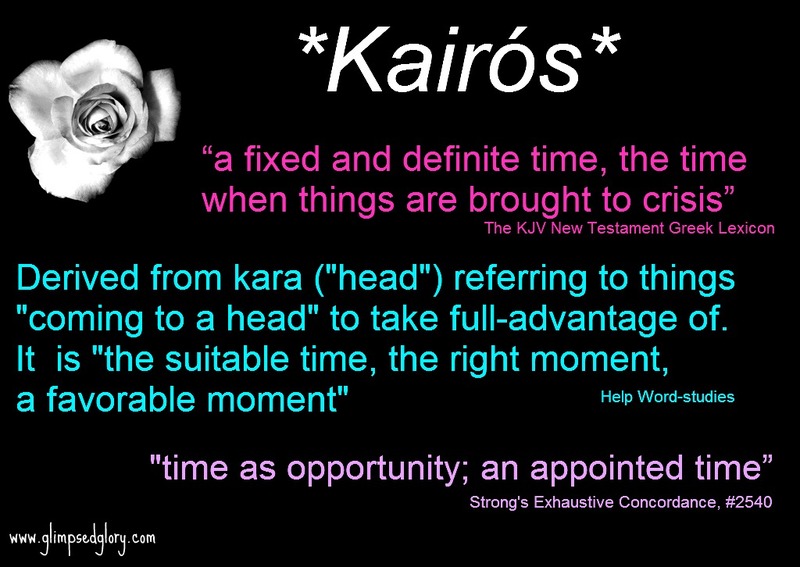 How I invest my chronos will certainly influence the choice I make when “the opportune time, the favorable moment, the time when things are brought to crisis”—the Kiaros Moment—occurs but there is a definite difference between the training ground and the battlefield. Another thing I want to be certain you hear in these words is that I am well aware that Kairos Moments are in no way limited to 60-second lifebursts. Kairos Moments for some, especially those who have been entrusted with suffering, seem to last for days, weeks, even months. It seems to me that those who live with the Kindgdom assignment to stand firm in a life that demands perseverance of choice – the choice to believe God is there, involved, and working all things for the good of those who love Him—those given that assignment . . . well from my perspective, they come close to living an endless string of Kairos Moments—uniquely poised, standing at the crossroads every day, several times a day . . . choosing. I live with a Man who has been entrusted with that life and full confession is that I’m certain I would not live it as well as he does. He does not withdraw from God in His choice. Does he question? I’m sure he does. Does he wonder? He must. But he does not withdraw. He continues to stand at the crossroads and he continues to choose God every time. 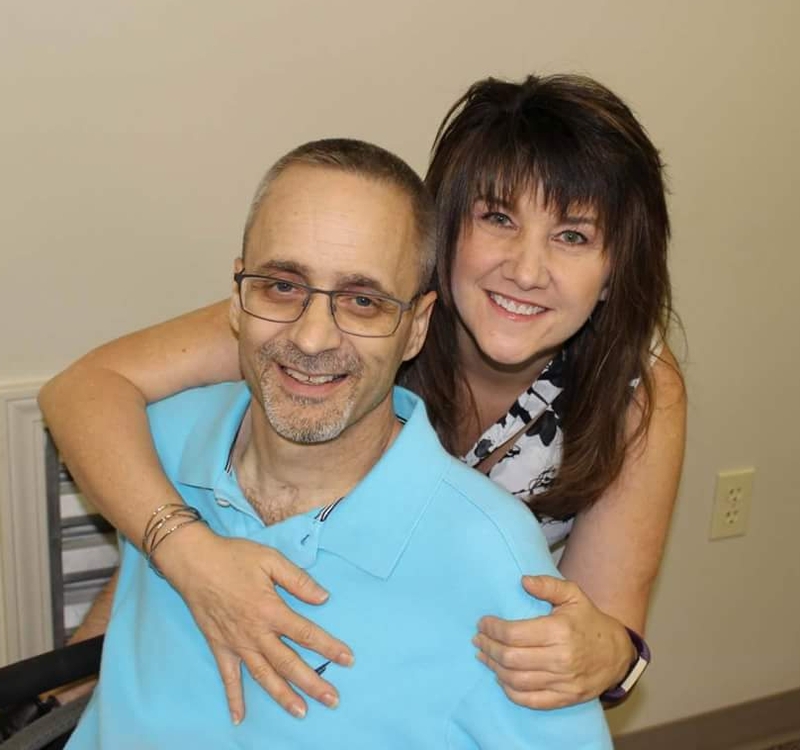 That’s the way Brett lives life . . .He staggers not through unbelief but is strong in his faith, giving glory to God and he is fully persuaded that God will not be dissuaded from being God. That’s a powerful life to be on the perimeter of. To see first-hand the warrior spirit God will develop in a willing heart. The Lord is a Warrior and He’s raising His boy up to look just like Him. 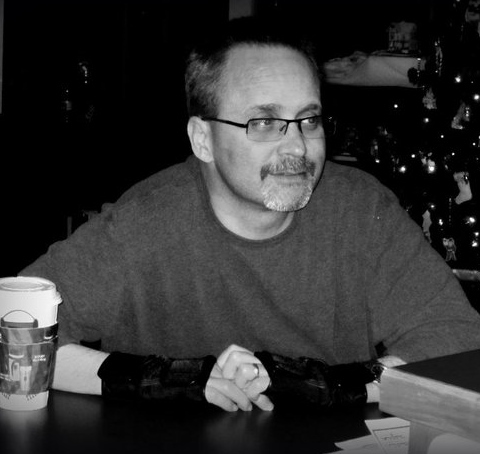 I know there are times Brett finds himself weary from the fight and aches for rest—I’ve seen the weariness roll down his cheeks. I know there are days when he wants his time on the battlefield to be done because he whispers to me at the end of it “one day closer.” But he perseveres and he chooses. He’s just come through such a time – again. Six days in ICU with a body that would not cooperate. Six days with painful tubes, iv’s, blood draws. Six days with no food and little rest. Six days spent in the war zone fighting the good fight. Six days spent startling the enemy every time he stood at the crossroad and staggered not. Six days . . . . one kairos moment after another. Six days standing firm . . .convinced that God had not and would not abandon him. Fully persuaded that God is able. And . . . I watched. As the chronos moments ticked by, I watched the kairos moments, one after the other, be lived out in vivid color right before me. And I faced my own choices. I came to my own crossroads. And I chose. Did my mind shout to God to come quickly and heal? Did I wonder why the delay? Did I remind Him that His Word says that He is moved by prayer and hears the plea of His people? Absolutely. And He held me there, in the throne room, and did not let me withdraw. He allowed me to question, to remind in humility and to petition for a different path– but He never let the doubt of His goodness or of His Kingdom purpose find its way into my heart or my mind. In fact God did the opposite. He showed me the strength He has developed in Brett, in me, and in us. He called us into battle together and we came out stronger than ever. Jars of clay filled with Light convinced of His goodness and His love. Unwavering, staggering not, in the belief that what the evil one meant to harm us God has used to accomplish the good thing. We may be hard pressed on every side but we are not crushed. We may be perplexed but we do not despair for we are not abandoned and we are not struck down. The very thing the enemy tried to use for our downfall – the unfairness of the situation, the enough-is-enough mentality, the isolation and exhaustion of it all – was beaten back by the very Hand of God and we emerged with the plunder of increased faith and a heightened awareness of His Love. He is today Who He has always been . . . 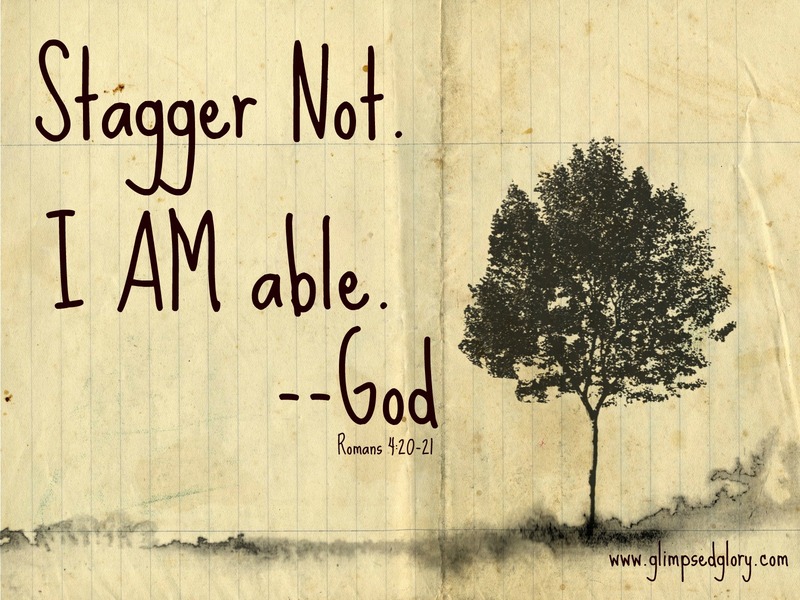 The Able One . . .The God of More. I wanted to escape this trial with Brett’s physical life. God wanted more for Brett and more for me than simply making it through to the other side. He wanted hearts refined and faith proved genuine in the kairos moment. He wanted us to come from the battlefield knowing that in every situation we are more than overcomers because greater is He who is in us than He who is in the world . He wanted us to know that He has been preparing and pruning us in all the chronos moments of life to emerge as the victors in this “most favorable, most suitable, most opportune” kairos moment. And at our backs . . .a battalion of soldiers—some close friends we know, others complete strangers from churches we’ve never visited, but each one was storming the heavenlies on our behalf. The saints of God, praying us through and beating on the doors of heaven, moving the very heart of God. And I have to wonder if this sweet picture that I am conjuring of God’s saints gathered together declaring that no weapon forged against us will prevail might be a small piece of what God meant when He told us that His glory would be our rear guard? As the for the saints who live in the land, they ARE THE GLORIOUS ONES in whom is all my delight. Psalm 16:3 (NIV, 1984). Someone jokingly said this past week that we had to be descended from the line of Job and we’ve made the joke ourselves on more than one occasion. But as I contemplate that statement, I’ll take that ancestry and that heritage any day. Because just like Job, who questioned but did not withdraw, we’ve seen God more clearly than we ever would have and we’re closer to being able to say in a holy hush . . .
That’s what the Kairos moments do for me. They open my heart so I can see God. They expose my faith and lay it bare. They strengthen my spirit and heighten my love for Him. Girlfriend, if you’re living your faith out, the Kairos moments will come—the “favorable moment, the appointed time, when it all comes to a head” and “things are brought to crisis.” Do not shrink back. Do not withdraw – be fully persuaded that God will be God. Stand firm, sword in hand, battalion at your back declaring for all the heavenlies to hear that your God is able and then Sweet One, you rise up for battle in the Name of Jesus, you believe your God to be Who He has declared Himself to be, and you STAGGER NOT.